A breast surgeon who intentionally wounded his patients has had his 15-year jail term increased to 20 years. 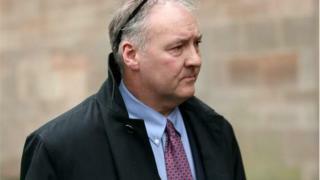 Ian Paterson, 59, who appeared at the Court of Appeal via video link, was told his current sentence was "not sufficient" to reflect the seriousness and the totality of his offending. Paterson was found guilty in April at Nottingham Crown Court of 17 counts of wounding with intent. Jurors also convicted him of three further wounding charges. Explaining the decision to increase his jail term, one of the three Appeal Court judges - Lady Justice Hallett - told Paterson his victims had been, "left feeling violated and vulnerable". She described his treatment of patients as "brutal and sustained". "They have lost their trust in others, particularly some in the medical profession," she said. Media captionVictim Debbie Douglas: "I didn't think I'd be so emotional"
"Some have experienced long-term psychological effects." Representing Paterson, Nicholas Johnson QC said "his crimes are truly notorious". He said in prison the surgeon was regarded as a "marked man" so had to be kept apart from other inmates. That decision has been met with some satisfaction by Ian Paterson's victims who have come to the Court of Appeal today. They were hoping for at least 20 years when he was sentenced to 15 years in Nottingham at the end of May. They felt that day, that whilst they were glad he had gone to prison, that he should have been sent to prison for longer. Paterson has appeared via video link from Nottingham Prison. He was taking notes and shaking his head occasionally. Lady Justice Hallett said the Appeal Court judges had to impose a "just and proportionate sentence". The judges found the exercise difficult but they did think the original sentence had been unduly lenient. They said there had been a breach of trust and an abuse of power and took into account the vulnerability of the patients - some of whom were under his care for a decade or more. She said ultimately the 15-year sentence just was not long enough, given the totality of all of those factors. Paterson, of Altrincham, Greater Manchester, was jailed in May following an eight-week trial trial. Media captionWhat is cleavage-sparing surgery? 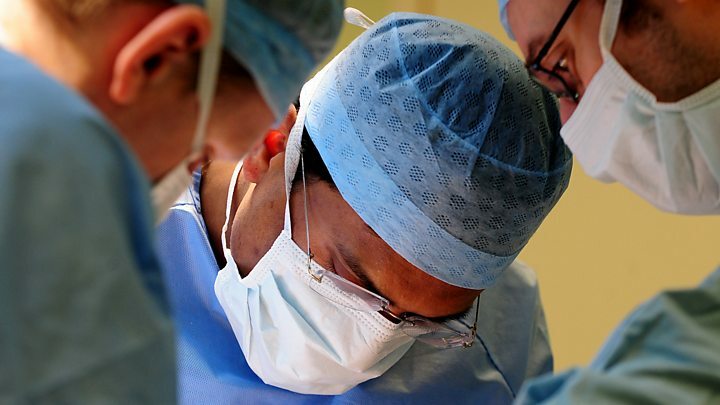 The court heard from nine women and one man who were treated in the private sector at Little Aston and Parkway Hospitals, run by Spire Healthcare, in the West Midlands between 1997 and 2011. 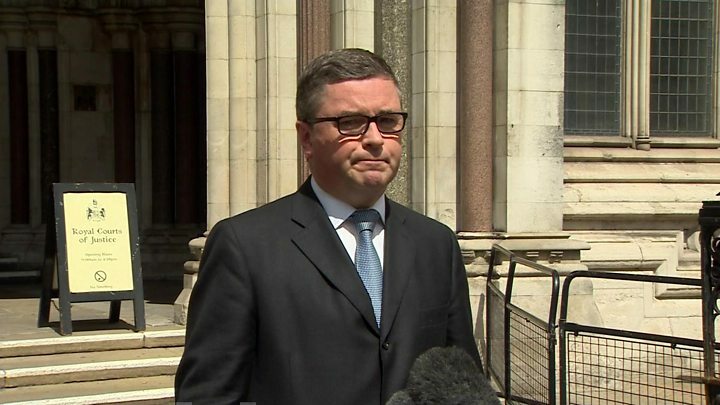 However the case was referred to the Court of Appeal by Solicitor General Robert Buckland. Mr Buckland argued that Paterson's offending was "so serious and so exceptional" that a jail term "significantly higher" than 15 years was required. The trial heard Paterson, who treated thousands of patients during his career, exaggerated or invented cancer risks and claimed payments for more expensive procedures in some cases. Jurors were not told Paterson also carried out hundreds of unnecessary operations on NHS patients, with a hospital trust paying out £17.8m in damages and legal costs. In October, more than 500 of Paterson's private patients who had unnecessary operations will seek compensation at the High Court. Linda Millband from Thompsons Solicitors, which is representing them, said: "Many of our clients were subjected to significant harm at the hands of Mr Paterson and some have been left with life-long conditions. "While no length of sentence can undo this harm, it seems right and fair that this otherwise lenient sentence was revised, and extended by the courts." Diane Green, who was given two unnecessary double mastectomies by Ian Paterson, said: "I lost everything - my home, my job, my marriage - as a result of what that man did. "While no amount of jail time can repay or make up for what he did, a sentence 15 years... was never going to be enough for maiming and butchering hundreds of women like me." "It is encouraging to see the Court of Appeal listening to victims like me and extending the sentence to 20 years."